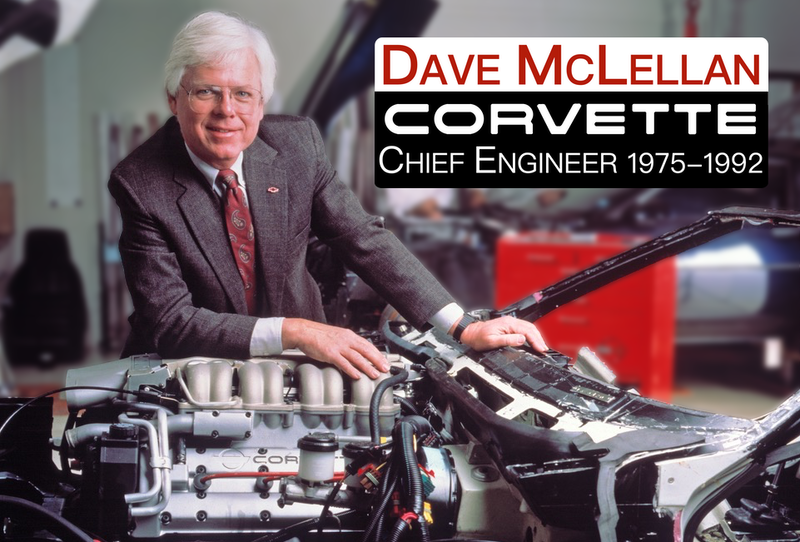 001 Corvette Chief Podcast – Mid-Engine Corvette? Welcome to the first episode of the Corvette Chief Podcast. In this episode, Dave discusses the rumors surrounding a possible future mid-engine Corvette. He shares that rumors of a mid-engine Corvette have been flying since the 1960’s. Dave sheds some light on the rumor that started some time last Fall of the C7 being a mid-engine Corvette. Dave shares, in this podcast, the reaction that he has received when he has ran into the current corvette engineering team at various events. In this episode, there is valuable insight into the history of a mid-engine Corvette as it relates to the various proposals of the research and development of the Corvette program. This entry was posted in podcast and tagged C7, Chevrolet, corvette, dave, David, Duntov, Engine, GM, mclellan, Mid, Mid-Engine, podcast, Zora by dhubcap. Bookmark the permalink. Dave, I purchased mt first Corvette as you were taking the helm from Zora in 75. Fram an engineering standpoint a mid engined Corvette is something that should be done. Fram the Corvair up to the Fiero, some have tried but it always seems that the accounts won out in the end and the true “car guys” such as yourself would hev to go on to other projects. It is one of the unfortunate facts of the industry. We can now only hope, wait, and see. Many young people, when asked who they look up to, will list off the names of celebrities such as t.v. and movie stars or great athletes. As an aspiring Corvette owner growing up (I’m now 34) in the C4 era, I read about everything “Corvette” I could get my hands on. I read about people like Dave McLellan, Jerry Palmer, John Cafaro, John Heinricy, Jim Ingles, Fred Schaafsma, Doug Robinson, Tommy Morrison and many others who turned the Corvette into the world class sports car it is. These were and are the people I really admired. With a lot of work, I got my low mile ’85 in 1990 and in 2001, bought my all time dream car, the ZR-1. This is surely a longer comment than this site is looking for, but all I can think of at the moment to say is “Thank you Dave”. As far a mid-engined Corvette, I think that if the increased performance trend continues at the rate it has been, even with tighter CAFE standards on the horizon, then a mid-engined car and even 4 wheel drive will be the focus of more attention by the Corvette team – especially in getting that increased power to the pavement. Great job! We can’t to see/hear all the content you bring to your loyal following. Really enjoyed this first post! This is great. I love it. You have an opportunity here to give us the real Corvette history. We’ve been the victims of so many myths and PR guys that the real history has been lost. I would love to know more about how, and why, your group did certain things in developing the Corvette. Dave, Thanks for your thoughts on the mid engine Corvette. Asyou evaluate the new CAFE regulations and their likely impact on subsequent Corvettes, how would you rank the challenges of sustaining or improving performance to satisfy customer demand, with the need to decrease weight? How extensively do you see high strength carbon fiber components entering the structure of the car as opposed to the skin? Can you see a future engine program with much smaller displacement but very high RPM’s like the Ferrari and if so, how do you think Corvette’s current customer base would react to the required driving style changes? I look forward to your next podcast. OBTW, I’ve enjoyed all 4 of my C-4’s and thank you for them. Without a doubtr the ZR-1 was the best. Dave, leave it alone…..Being a owner of a 63 Corvair I would not put the motor anywhere than where it is..they were proven an unsafe car and they don’t have the proformance that a Corvette has. Just too dangerous. I have two Corvettes a 427 and 454 and no way would I want the motor anywhere but in the front. More protection for you. One can make a case either way. The Corvair, though, should not be looked to for direction. It was a rear engined car and before 1964 was little more than an overgrown VW Beetle. Check out the reference to the mid-engined Mosler MT900 in my book. Here you’ll see the profound opportunity that exists to keep Corvette at or ahead of World Class. Great internet initiative. I look forward to more of your wisdom. Corvette people will always appreciate your insights. Let’s talk more about the mid-engine car as I had some influence over that decision with C5. Your insights and direction were instrumental in making C5 the “best Vette yet” at its launch. Give my love to Glenda. loved every minute of your mid-egine story! GM should have the gutts to finally built a mid-egined, four-wheel-drive & double-clutch auto-shift Corvette C7!!! this piece of technical art-in-motion! GM should built a same revolutionary Vette! Keep those great Corvette stories coming! Thanx, Han Klems from Overseas. I enjoyed your thoughts on mid-engine Corvette history. Keep it up. Remember the twin engine Corvette that we built in Jack Turner’s shop with two 4.3 liter V6 engines? That certainly was a fun project albeit not a very practical concept. A mid-engine Vette would be interesting. I own a 1988 Pontiac Fiero GT, it is a great car (could use more hp though). I’ve noticed that the C5 spaceframe looks very similar in design to the spaceframe on my Fiero, was the Fiero design used as a benchmark for the C5 spaceframe? Also, did Chevy ever seriously consider building the mid-engine Chevy Tandem concept car? Lastly, wouldnt the XLR production line be the perfect place to build a mid-engine vette and Cadillac Cien, while maintaining the traditional front engine vette on the main line? I enjoyed the podcast and will look forward to returning for more info on the Great American Sports Car.I do favor the idea of a mid-engine concept coming to the Corvette line. I owned a ’89 and then the kid came, followed by an increasing waistline, and the Vette went.Now the kid is going out on her own and I’m poised for the car to return.Happily, with the new “tub” and lower sill,I’ve found I can again enter/exit the car comfortably. I found your site through Ugur Sahin Design, and would love to see their interpretation of the Vette in mid-engine format. I’ll be shopping Z06’s and U-S-D’s to see if they are within reach. Thanks again for the pods and sharing your knowledge with us. Looking forward to re-joining the ranks!